On June 25, the United States Food and Drug Administration (FDA) approved the first medication based on marijuana (Cannabis sativa plant). The purpose of this drug is a treatment of seizures associated with severe forms of epilepsy, Dravet and Lennox-Gastaut syndrome. This medication can be used by patients older than two years and contains cannabidiol, the substance extracted from marijuana, which does not cause euphoria and does not lead to intoxication, unlike tetrahydrocannabinol (psychoactive component). The medication called Epidiolex was developed by GW Research Ltd, a subsidiary of GW Pharmaceuticals, plc and proved its effectiveness in three randomized clinical trials, conducted on so-called “double-blind” and “placebo-controlled” principles. The double-blind principle means that not experimenter, nor participant knows about who is in the control and who is in the treatment group. A placebo-controlled principle is used to exclude placebo effect and check if an active substance is really working. Clinical trials of Epidiolex involved more than 500 patients with the Dravet or Lennox-Gastaut syndrome. During the trials, the drug was effective in reducing the frequency of seizures in patients when compared with placebo. FDA Commissioner Scott Gottlieb, M.D, said that the approval served as a reminder that sound development programs that properly evaluate active substances in marijuana can lead to important medical therapies. He also pointed out that FDA’s drug approval process along with clinical trials that proved safety and efficacy of Epidiolex was the most appropriate way to bring marijuana-derived treatments to patients. Marijuana was used during another study, which was conducted on a wave of opioids fighting. However, marijuana-derived products and treatments are not a part of a common medical practice. Billy Dunn, M.D., director of the Division of Neurology Products in the FDA’s Center for Drug Evaluation and Research, said that Dravet and Lennox-Gastaut syndrome had a profound impact on patients’ lives since these syndromes cause difficult-to-control seizures. He also said that this was the first approved medication specifically for patients with the Dravet syndrome and it would provide a significant improvement in the therapeutic approach for caring the patients. Dravet syndrome is a rare genetic condition typically leads to poor development of motor and language skills in children. The Dravet syndrome causes febrile seizures – frequent fever-related seizures that appear during the first year of life. Later, it can arise and include involuntary muscle spasms (myoclonic seizures) in most cases. In addition, status epilepticus may occur. Epidiolex is the first of its kind medication approved by the FDA, however, it still has its side effects, that occurred during clinical trials. The most common of them are sedation and lethargy, sleepiness, elevated liver enzymes, infections, diarrhea, fatigue, rash, decreased appetite, insomnia, sleep disorder/poor quality of sleep, weakness, and malaise. To decrease the risk of the occurring of adverse effects, Epidiolex must be dispensed with a patient Medications Guide, according to the FDA. This guide describes all risks of using the medication and has important information about how to use Epidiolex properly and decrease the risk of serious side effects. Epilepsy drugs have a list of serious side effects as suicidal thoughts, feelings of agitation, depression, panic attacks or aggression. Epidiolex can lead to these medical conditions as well as other medications of this type. Aside from psychiatric issues, it can also lead to liver injury and increases a change of more severe injury. It can cause such adverse effects as abdominal pain, anorexia, fatigue, nausea, vomiting, dark urine and others. Despite its side effects, Epidiolex can be the first out of a wide range of marijuana-derived products available at pharmacies in the near future. 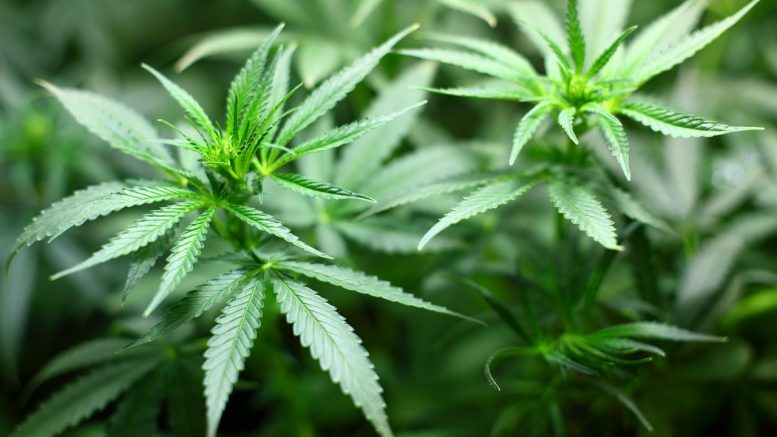 Be the first to comment on "The FDA Approved the First Marijuana-Based Medicine Epidiolex"